Borderlands 2 Drops Tomorrow, Launch Trailer Here Today! Itching to go back to Pandora for another awesome round of FPS/RPG mash-up goodness? Well, you won’t have to wait for long because the sequel to the highly successful 2009 game from Gearbox Software, Borderlands 2, arrives tomorrow! Check out the awesome launch trailer courtesy ofIGNwhich reveals the real reason why game antagonist Handsome Jack wants to find the vault. Borderlands 2 is set five years after the events of the original Borderlands, after the vault haunters of the first game uncovered the secrets of the Eridian Vault. 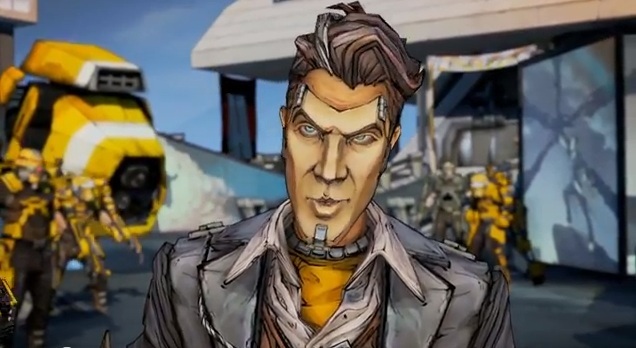 Handsome Jack has taken credit for discovering the vault and the ensuing wealth and popularity he gained has allowed him to effectively take over Pandora. Like the first game, Borderlands 2 will have 4 playable characters, all of whom are new to the series — a “gunzerker” named Salvador, the siren Maya, a commando called Axton and a mysterious assassin who goes by the name Zer0. NPCs Guardian Angrel and Claptrap are scheduled to return and should make Pandora a little more recognizable for returning players. Gamers who pre-ordered Borderlands 2 through Gamestop will also have access to the Creature Slaughter Dome, in addition to getting the Mechromancer DLC for free. With the game not scheduled until tomorrow, it’s not too late to try and pre-order Borderlands 2 and get some sweet free DLC to extend your Pandora experience. Excited that Borderlands 2 will be launching tomorrow? Will you be getting it for the PC, Xbox 360 or Playstation 3? Let us and your fellow gamers know in the comments below!